Word Art World: $2 Tuesday Page Kits, 50% OFF Storewide Sale + Free Word Art Pack! 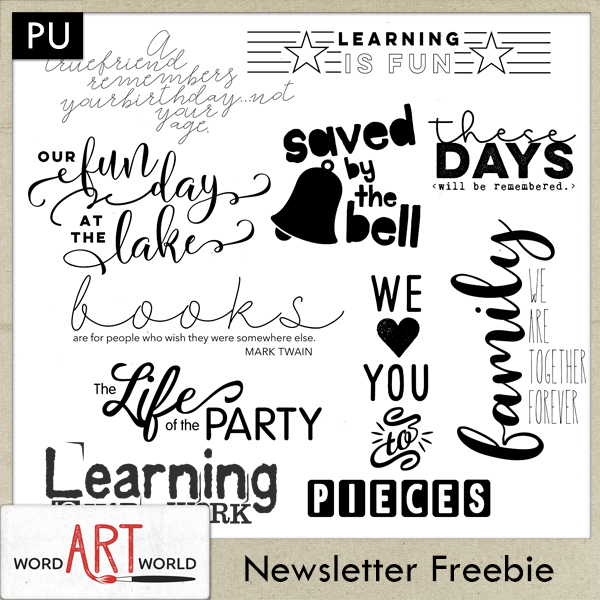 $2 Tuesday Page Kits, 50% OFF Storewide Sale + Free Word Art Pack! The weather is starting to ease up a little, which has been a nice break after such a hot and humid summer here on the east coast. And, Halloween is on the horizon. Now that my kids are all teenagers, Halloween is not as exciting as it used to be since my kids don't dress up anymore. But, I still do enjoy putting out a few Halloween decorations around the house, and I love designing Halloween-themed word art and page kits! 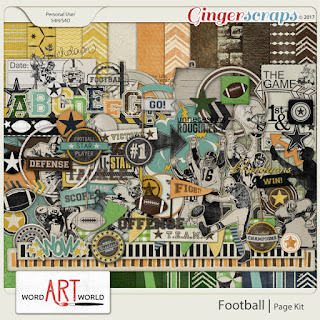 For some reason, I just the love the color combinations of orange, black, green and sometimes purple. So fun to work with! 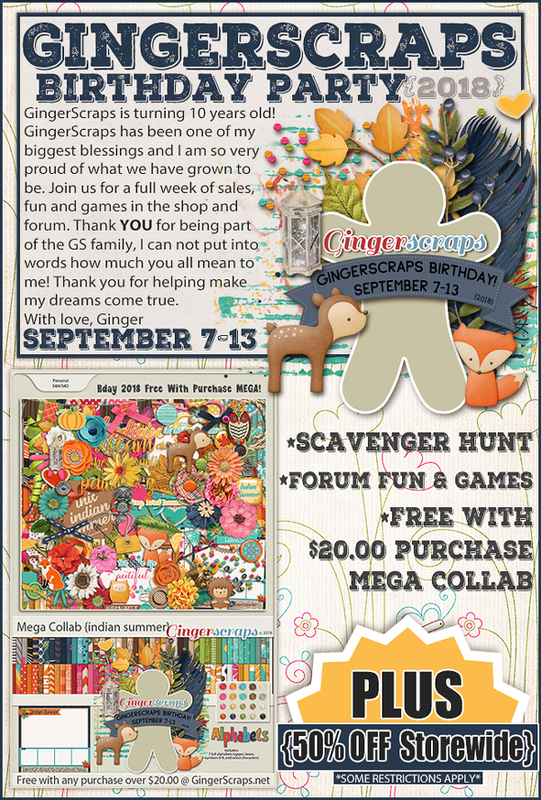 Here are two of my favorite page kits that are both on sale in my store at GingerScraps for only $2 each through the end of Tuesday, September 11, 2018. 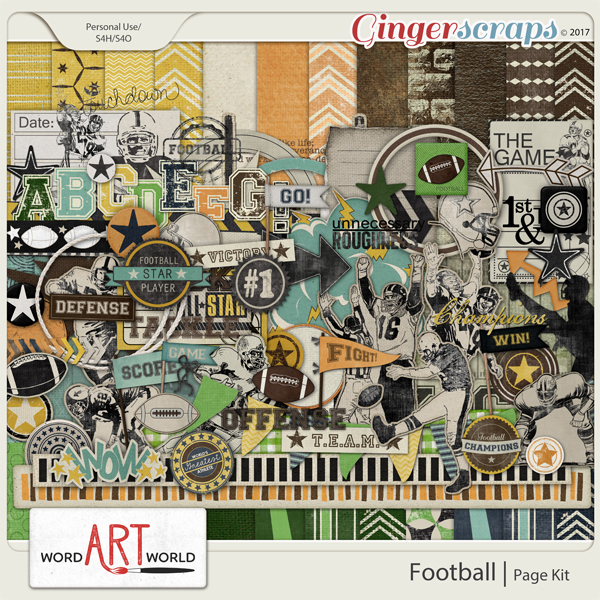 GingerScraps is having a 50% storewide sale to celebrate its 10-year anniversary! 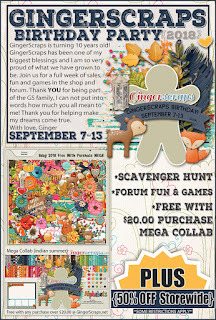 Through September 13, you can join in on the fun with great deals, games and activities and more!